The purpose of the program is to ensure that the next generation of business professionals has an appreciation and understanding of the arts and its importance in our community. Sarasota businesses nominate employees to attend a series of educational programs, attend arts performances and events, and interact with patrons and members of the arts and cultural organizations’ board of directors. 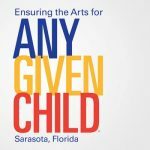 This program is designed to provide participants with insights into our community and to help them develop and build relationships with their clients who patronize the arts in Sarasota.